Motel and B&B Website Must Haves. Accommodation providers need an effective customer-facing site. The overall look of the site needs to be professional and inviting by using modern fonts and top-quality images to encourage site visitors to stay on your page and make a reservation. While it’s tempting to start a blog, it is time-consuming for you and distracting for your site visitor so it’s important to consider the pros and cons. You should always focus on what the key goal of your website is – and for accommodation sites it should be to get bookings. This means you need to make online bookings as obvious and easy as you can and this means integrating a system that will do the job for you. The system you choose should not only enable online reservations, but also integrate seamlessly with 3rd party booking engines such as Booking,com, Wotif.com, Lastminute.com and many more. What else makes up a great system ? Professional-looking interface that is appealing to the eye and that allows you to show images of rooms and facilities on offer. Don’t just focus 100% on your rooms – if your property is in a popular tourist location make sure your site includes top-quality imagery and good text to sell the reason for someone to stop at your place. Easy to use interface that is comparable to those used by the larger booking services. Don’t re-invent the wheel – go with what any potential visitor expects to see. There are many Software As A Service (SAAS) applications on the market – do some research of your own and assess the functionality against your requirements and your budget. If you are short on time take a look at the Capterra review of some the top software offerings. Reception-desk, point-of-sale booking system for times when guests arrive without a reservation. This also includes features such as key management, wake-up calls, cleaning schedules and maintenance tasks. Availability management and real-time integration with 3rd party systems to avoid double-bookings. If your establishment is listed on sites like Booking.com or other Open Travel Alliance (OTA) site you need to make sure your room availability is synchronised. Simple to read dashboard and reporting suite that preferable integrates with your accounting system. It should also form a key part of your Customer Relationship Management (CRM) system and be able to receive and automatically display visitor reviews and ratings. And don’t forget to make your contact details very clear on your website. Phone, email as well as location maps are essentials. Are you using Facebook, Twitter, Instagram or other social media platforms to market your property and interact with your guest before and after their visit? Does your website seamlessly integrate with those social media platforms? Does your website enable visitors to share pages/content with social media sites? Do you already have a property management system in place and if so how much effort and cost will transitioning to a new system pose? Do you currently sell (or in the future intend to sell) add-on products to guests during their stay? How comprehensive and easy to use is your 3rd party (OTA) hotel reservation software system? What kind of information do you want to collect about your visitors and what do you intend to do with this data? Making the decision to implement an online booking system is the easy part – deciding on which system to use is the hard part. The last thing you want is to go for the first one you see and then discover it doesn’t have the functionality that your business needs. 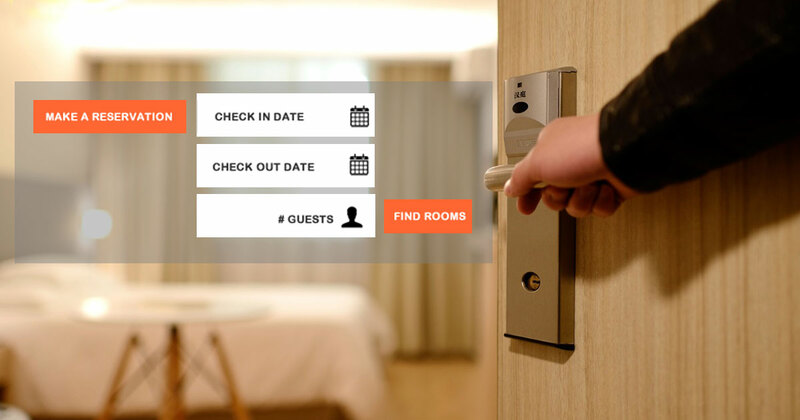 If you want some advice about motel booking systems and how it can fit into your current website just drop us a note, we’ll take a look at your website and provide options and advice.